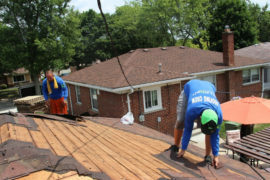 While your home’s roof plays a vital role in protecting you and your family from the elements, many of us take the condition of our home’s roofs for granted and do not give much thought to our roof’s condition. Unless your roof starts to leak, or it is severely damaged in a storm, you may not know when your roof is in need of replacement. 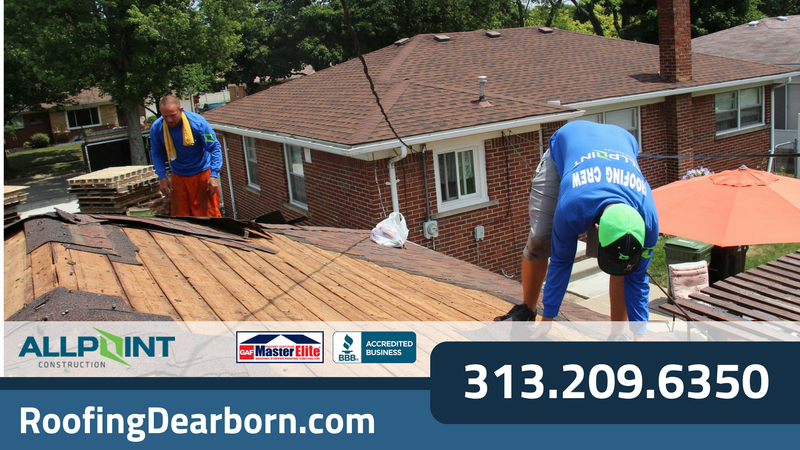 However, due to the important role that your roof plays in protecting your home, it is critical that you are aware of, and look out for, the signs indicating that you may be in need of roofing repair or replacement in Dearborn Michigan; here are a few of the signs you can look out for in your home. One of the clearest signs that it may be time to start considering having your roof replaced is if it is nearing, or has passed, its 25th birthday. On average, an asphalt roof is built to last between 20 and 30 years before needing to be replaced. Once it reaches its 25th, or even its 30th, birthday, it will no longer be as structurally sound as it once was. Even if your roof appears fine from the ground, you could be putting your home at risk by waiting much longer past the 25-year mark to have it replaced. 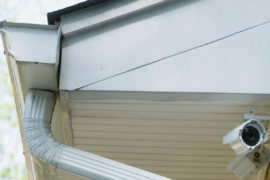 If you cannot remember when the roof was last replaced, or you are not the original owner of the home (and do not know when it was last replaced), there are other signs you can look out for indicating that your roof is aging that we will be discussing below. One of the clearest visual signs that your roof may be reaching the end of its life is if the shingles begin to curl or buckle. If you notice that shingles are your roof are beginning to curl at the edges, or they are starting to come up in the middle, this is a sign that your shingles are weathering and reaching the end of their life expectancy. 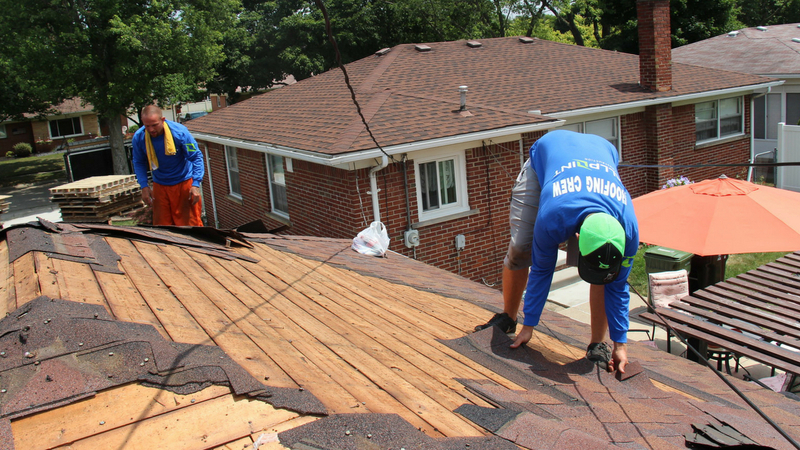 While seeing one or two shingles buckling or curling does not necessarily mean that your roof needs to be replaced immediately, you will need to start planning to have your roof replaced in the near future as the curling will likely only spread as your roof continues to age. This makes it important that you inspect your roof several times a year so that you can be aware of any damage to your roof, and so that you will know if these problems begin to spread. Once your shingles begin to curl, you will likely have a maximum of 5 years left in your current roof. When inspecting your roof, you should also be on the lookout for shingles that are beginning to crack, chip, or break in any way. If you encounter a cracked or damaged shingle during one of your regular inspections, this is not necessarily cause for alarm. Shingles can often become damaged as a result of high wind speeds or hail during severe storms, and these shingles can usually be replaced. However, if you notice that the damage isn’t isolated to a single part of your roof, cracking shingles has become a widespread problem, or the damage occurs even when there has been no wind or hail, then it is likely that your roof is in need of replacement. Over time, your roof’s shingles can become brittle and will begin to crack as they near the end of their lifespan. Once your roof’s shingles begin to crack and break, this generally means that you will need to consider replacing your roof in the next three to five years. When there is a severe storm, this can also cause entire shingles to go missing from your roof. While this does not necessarily mean that there is something wrong with your roof, you may find it difficult to find an exact match when trying to find replacement shingles for your roof, and you may end up having to settle for a slightly different color/design. 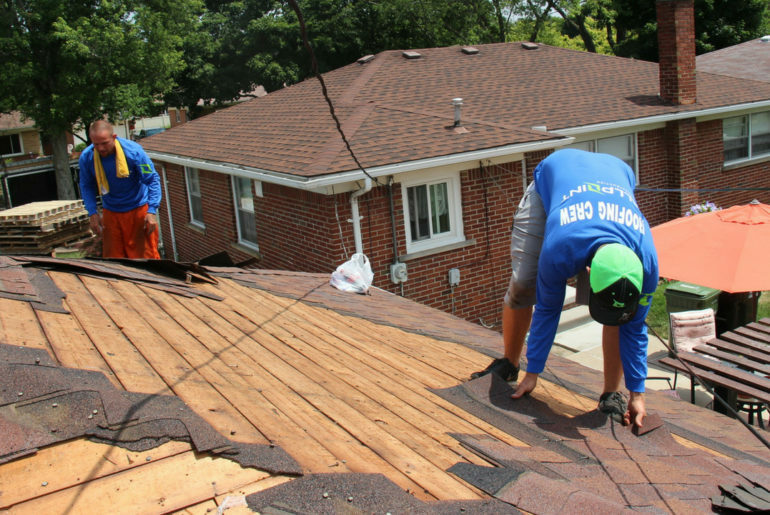 When a home’s roof begins to look like a checkerboard because so many shingles have had to be replaced, many homeowners decide to simply have their entire roof replaced so that their home looks more uniform. As your roof begins to age, you may start to notice shingle granules piling up in your gutters, or on the ground around your home. While it is not uncommon for a roof to begin shedding granules when its shingles are halfway through their lifespan, you should be aware of how long the shedding has been occurring, and if the volume of shedding granules suddenly increases, as these can be signs that your roof may need to be replaced. Granules will start shedding in larger amounts near the end of your roof’s lifespan, meaning that if you are discovering large piles of granules every time you clean your gutters, then you will want to start thinking about roof replacement. It is important that you do not ignore this problem, as roof granules play a vital role in protecting asphalt roofs from the sun. Without these granules, your roof will be exposed to the elements and will begin to deteriorate much quicker. Depending on the environment of the area in which you live, you may discover that algae and moss have begun to grow on your roof over time. Contrary to popular belief, discovering algae or moss on your roof is not a cause for concern, as this is generally more of a cosmetic issue. However, it is important that you do not try to pressure wash or scrape off this growth yourself, as you will likely end up damaging your roof in the process. Ultimately, the best solution to this problem is to have your roof replaced with an algae-resistant roofing material in order to not only eliminate the algae, but to also prevent this problem from reoccurring in the future. However, if you do not mind the look of this growth, you may not need to have your roof replaced unless it is showing other signs of deterioration. There are also signs that you can look out for from within your home which would indicate that your roof likely needs to be replaced. One of the clearest signs of trouble is if you discover moisture in your attic. If you find water in your attic after a heavy storm, or the insulation in your attic feels like it is waterlogged, then your roof is no longer watertight and it will likely need to be replaced. Even if you do not discover moisture in your attic, while you are in your attic you can look for another sign of problems with your roof. Look at the underside of your roof and see if you can see any sunlight streaming through your roof, such as through cracks or separations in your roof boards. If you can see sunlight through your roof, this is a clear sign of trouble as this means that rain, snow, and cold air can also enter your attic, which can cause serious damage. You will then went to consider having your roof professionally inspected as soon as possible, and you will need to be prepared for the fact that they may recommend that you have your roof replaced immediately in order to prevent water damage. If you have been in an older home or building, then it is likely that you have seen water stains on the ceilings of a building at some point in your life. If water stains begin to appear on the ceilings in your home, this should be immediate cause for concern, as leaking water from somewhere is causing damage to the structure of your home and is leaving these stains on your ceilings. In many cases, this water damage is the result of a damaged/deteriorating roof underlayment, which is allowing moisture into your home. If this is the case, then you will need to have your roof replaced as soon as possible in order to prevent further damage. No matter the cause of this staining, you will want to have your home inspected, and the damage repaired before further water damage occurs. A lesser-known sign that your roof may need replacing is if you see a sudden spike in your heating and air conditioning bills. While several problems can result in a loss in household energy-efficiency, such as an outdated HVAC system or old single-paned windows, if your windows and HVAC system are relatively modern, your aging roof could be the cause of your rising energy bills. The fact is that as your roof begins to age it may begin to let cold or hot air into your home, causing your HVAC system to have to work harder to keep you and family comfortable. Having your roof replaced would then eliminate this problem and improve your home’s overall energy-efficiency. As a homeowner, it is important that you are aware of your roof’s condition so that you can have it replaced before its deterioration causes damage throughout your home. While we have touched upon the major signs you can look out for indicating that your roof may need to be replaced, it is recommended that you have your roof inspected regularly by a roofing contractor in order to ensure that you discover problems with your roof in the early stages. 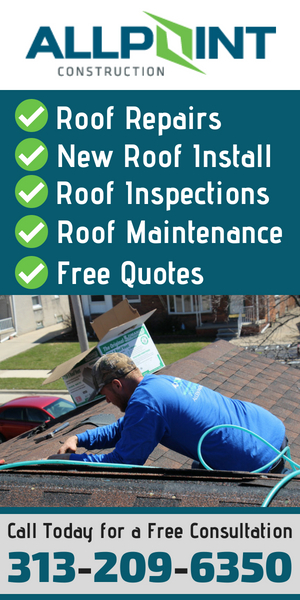 Contact us to learn more about how you will know if you may be in need of roof repair or replacement, as well as to find out about having your roof inspected or replaced in Dearborn Michigan.